HARTSVILLE, S.C., March 26, 2019 (GLOBE NEWSWIRE) -- Sonoco (NYSE:SON), one of the largest diversified global packaging companies, announced today that Richard (Rick) Johnson has joined the Company as Chief Information Officer, reporting to President and CEO Rob Tiede, effective today. 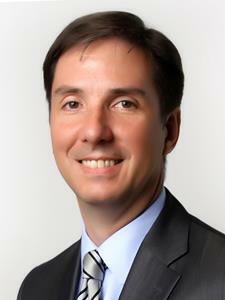 Rick Johnson has joined Sonoco as Chief Information Officer. Johnson comes from HNI Corporation (NYSE: HNI) of Muscatine, Iowa, where he served as Vice President and CIO since 2011. There, he was responsible for all information services for HNI Corporation), a multi-brand, multinational manufacturer of office furniture and hearth products. Previously, he held executive leadership roles at Johnson Controls, Inc., Capgemini and Ernst & Young LLC., and he started his career at General Motors Corporation. He holds a BS in mechanical engineering from Clarkson University. Founded in 1899, Sonoco (NYSE: SON) is a global provider of a variety of consumer packaging, industrial products, protective packaging, and displays and packaging supply chain services. With annualized net sales of approximately $5 billion, the Company has 21,000 employees working in more than 300 operations in 33 countries, serving some of the world’s best known brands in some 85 nations. Sonoco is committed to Better Packaging. Better Life., and ranked first in the Packaging sector on Fortune’s World’s Most Admired Companies 2018 list. For more information visit www.sonoco.com. A photo accompanying this announcement is available at http://www.globenewswire.com/NewsRoom/AttachmentNg/776a5879-530b-442a-8014-ba7c0dd22209.